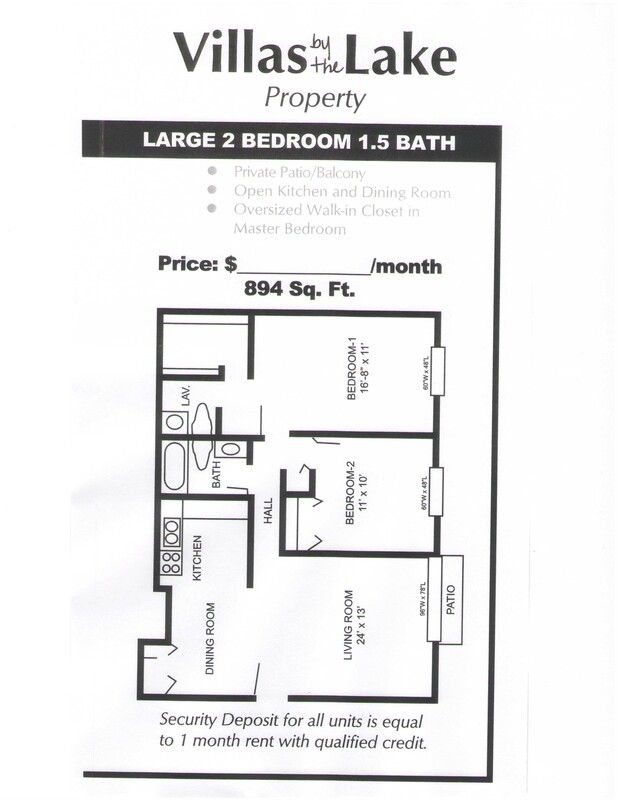 2 Bedroom 1.5 Bathrooms-Large Floorplan - Floor Plan - Pace Realty Group, Inc. The largest unit on property! Similar to the smaller 2 bedroom 1.5 bathroom floor plan, these units have a huge master bedroom with an oversized walk-in closet.